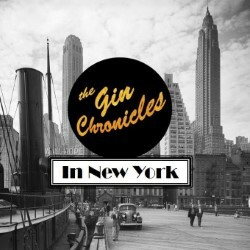 A brand-new adventure in the five-star reviewed vintage, radio-style comedy series The Gin Chronicles. Come and join the misfits of London for their fourth year at the festival, and enjoy ensemble comedy at its finest: 'pin-sharp pastiche of 1940s radio drama' (Scotsman). Set in New York, our detective duo of John Jobling and Doris Golightly are supposedly there on holiday, but what was to be a restorative stay changes when an inescapable gin-based mystery lures Jobling into Hell's Kitchen. But where is Doris? Complimentary gin and tonic for adults (soft drink for kids/non-drinkers). Presented by Interrupt the Routine.